If you’re looking for a prime place to take a Florida family beach vacation, the Suncoast should be your destination. Florida’s Sun Coast also includes the ever-popular Gulf Coast, and the Paradise Coast, which are no surprise to be on every “best Florida family beach vacation” list in the country. See more about the Gulf Coast area in this post. Because of its gorgeous weather, immaculate beaches, warm Gulf waters, and hundreds of family activities, make sure to put Florida’s Suncoast on your family beach vacation list and you won’t be disappointed. The Florida Suncoast is the west-central and southwest peninsular Florida coastal area between Tarpon Springs to the north, and Naples to the south, and includes the Tampa Bay Area. This region is sometimes also referred to as the Sun Coast. Originally known as the Pirate Coast, the region actually contains miles and miles of prime beaches and sunny days from early December through the following May and very few totally cloudy days. The Suncoast includes the coastal cities of Saint Petersburg, Clearwater, Largo, Tampa, Brandon, Ruskin, Bradenton, Sarasota, Punta Gorda, Englewood, Cape Coral, Fort Myers Beach, Venice, and Naples. Three of the Suncoast beaches that have been named in the top 10 of the United States: Caladesi Beach, Ft. Desoto Beach and Siesta Key Beach in Sarasota. Much of the Tampa Bay area (especially Pinellas and south Hillsborough Counties) has had long a reputation for being the main sleepy haven for the elderly. This is not the case with these counties now, which have a substantial, active year round population, Sarasota county being known for its strong support of the arts. 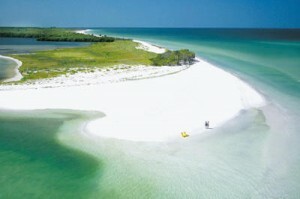 Florida’s Gulf Coast is also included as a part of the Suncoast. I’ve already written a nice post on Florida Family Beach Vacations on the Gulf Coast, see it here. “Fort De Soto Park is consistently rated as one of America’s top 10 beaches. The Park encompasses 900 acres, consists of 5 pristine islands, and offers superb amenities. Whether your interests include swimming, just sunning, roller blading, kayaking, canoeing, fishing, or camping, this park offers it all”. See this post for more information on Ft. DeSoto Park and surrounding areas for kid-friendly activities, kid-friendly restaurants, and kid-friendly hotels & resorts. “Caladesi Beach – America’s #2 beach in 2006. You have to go by ferry or private boat to reach this 500-acre park. That’s one of the beauties of visiting here. But then, everything about this unpopulated island retreat is beautiful.” Check out this post for more about the areas kid-friendly activities, hotels, restaurants, and more. 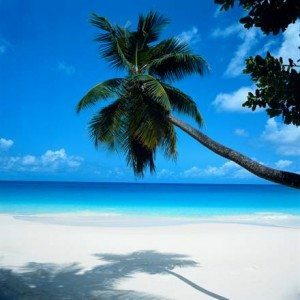 “Siesta Key Beach – Beach guru Stephen Leatherman has included Siesta Key Beach several times on his list of “American’s Best Beaches.” Slip your tootsies into the cool, powdered sugar sand at Siesta Key Beach and there is no disputing its ranking as one of the nation’s best beaches. 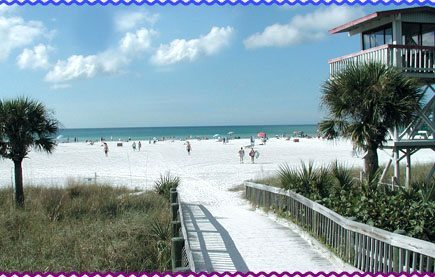 The sand is made from 99% pure quartz, the beach sand is soft, silken and powder soft, as well as cool to the touch.Siesta Key Beach is a favorite among people from all over the world. 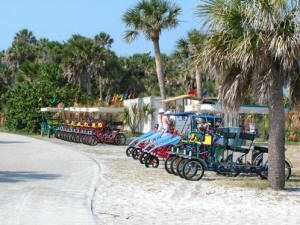 The beach facilities include concession stands, playgrounds, trails, picnic areas, restrooms, and tennis and volleyball courts.” See this post for more info on Siesta Key, Sarasota. Clearwater Beach is another amazing beach on the Florida Suncoast, here’s a post dedicated entirely to that area. Also see why Treasure Island, and St. Petersburg beaches are great kid-friendly places to go on your Florida family beach vacation. Sanibel and Captiva Islands are no slouches either, also known as the shelling capital of North America, and are also included in Florida’s Suncoast. See this post for more kid-friendly things to do, kid-friendly hotels & restaurants around Sanibel & Captiva. A guest writer for best kid friendly travel, Ellen penned another great post on the area, See it here. 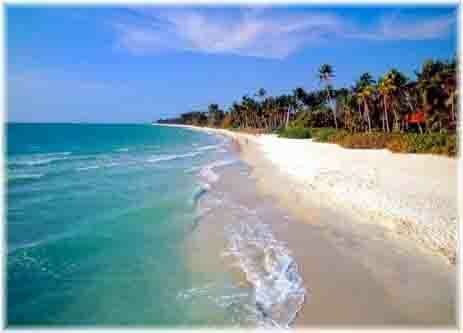 ; it’s called “Kid Friendly Captiva Island” with tons of great information about the area’s fun family activities. My Best Florida Family Beach Vacations; Naples Vacations post has tons of great kid-friendly info on the Naples area which is also part of Florida’s Suncoast. Check out all the kid-friendly activities, hotels, restaurants and more. If you’re still not convinced, check out Stephany’s post on the Top 5 Kid Friendly Beaches in Florida, and you’ll find the Suncoast has 3 out of the 5 on her list too. See it here. There are so many amazing restaurants on Florida’s Sun Coast that it would be impossible to list them all, but I did find a few very handy websites that give you a glimpse into what is available in specific areas. See the beachdirectory.com , urbanspoon.com, and metrodine.com . Book Your Florida family Suncoast beach vacation here at bestkidfriendlytravel!